At McKain Law, PLLC, in Ithaca, New York, we focus our practice exclusively on employee benefits law. We provide effective legal counsel and support to individuals and their family members who need help securing their employer-provided health, retirement, disability or veterans' benefits. We do not handle cases involving discrimination, harassment or other employment law issues. If you were denied your benefits, or you are otherwise having trouble accessing them, our law firm can help. Experience negotiating and drafting QDROs and QMCSOs. Operating under a mission to deliver the highest level of advocacy possible to those we serve, we will work closely with you to help you achieve the positive results you seek as quickly as possible. Regardless of the circumstances surrounding your case or the complexities involved, you can trust us to work tirelessly on your behalf to help you secure the benefits you deserve and the finances you need to support yourself and your family. 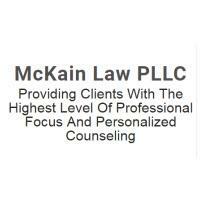 For more information on how McKain Law, PLLC, can help you obtain your benefits, please contact our office for a brief initial consultation.